OMG this is so cute! I love how those little elephants and the hearts POP! Beautiful quilt. I like how it is simple yet perfect. Well done! This is so precious! Beautiful finish! LOVE THIS!!!! The colors are so soft and work lovely together. The cutest elephants ever! This turned out beautiful! 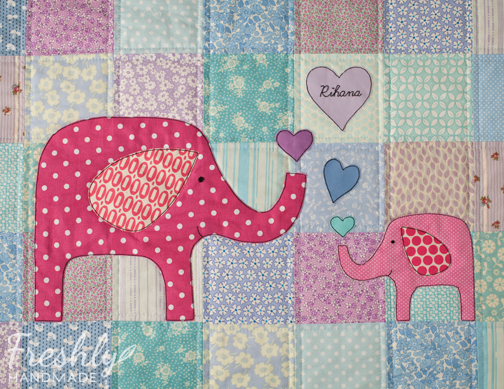 Love the elephants now that they are on the quilt. That is super sweet. I love how you personalized it in the heart. 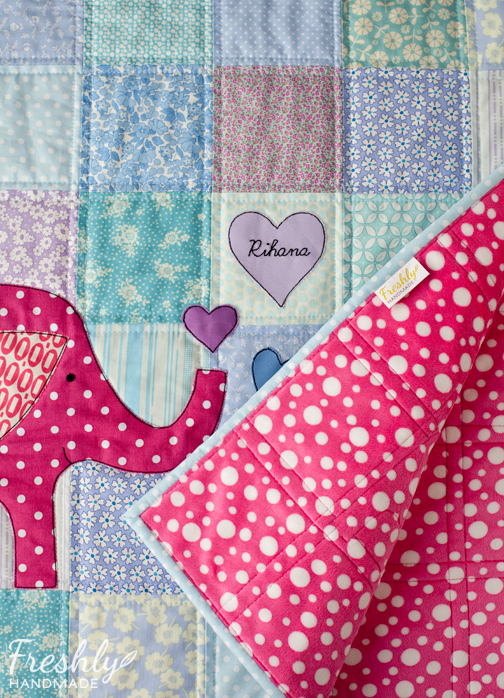 It is just beautiful - your fabrics choices all look gorgeous together and your elephant it adorable. It will be a favourite for her for many years I am sure! So, so cute in every way. 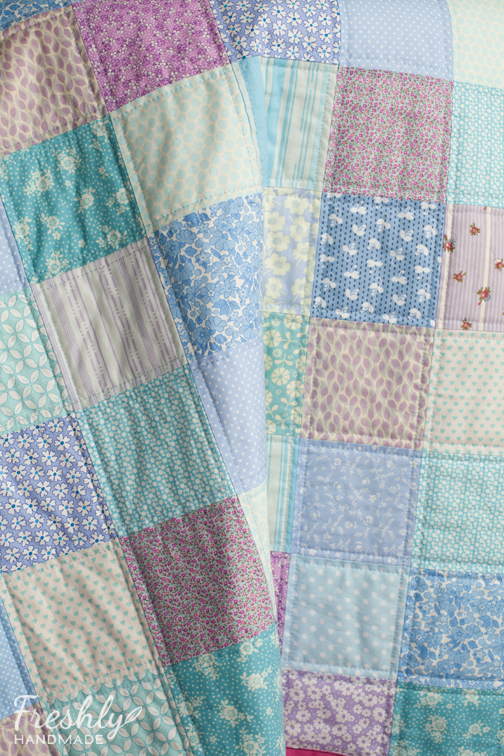 Even without the elephants and the backing, that is one of the prettiest quilts I have ever seen. The Elephants and the backing add the perfect touch of fun. Beautiful! 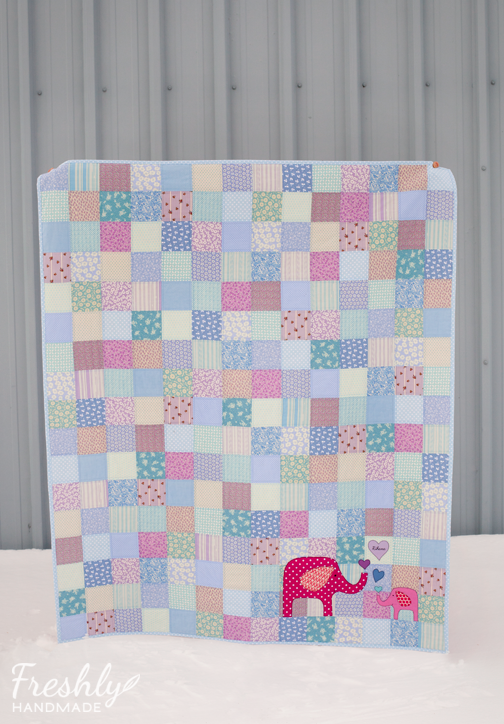 I love your soft patchwork colors...so pretty and helps to make those cute elephants pop! Do you have any tricks for working with minky? I've only tried once...it is so slippery and stretchy. Thanks Katelyn! 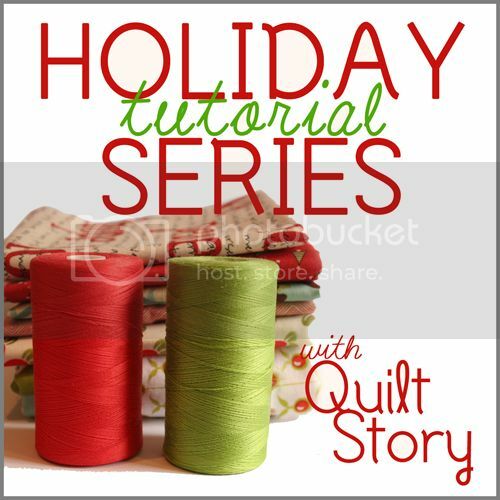 Suprisingly, I have not had any trouble when using minky as a backing fabric. My success comes from spray basting and some pinning even though the pinning may not be necessary. Hi Stacey! 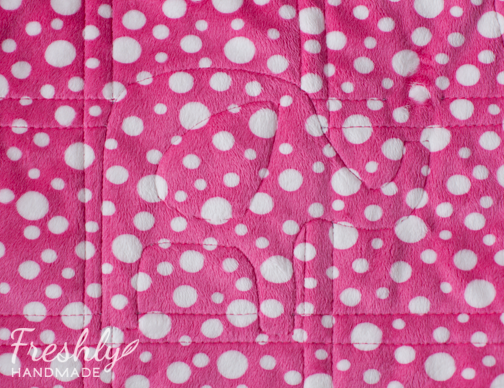 I love the juxtaposition of the light background with the bright elephants and that backing is just too cute! Oh, this is precious :D I love the subdued pastels behind the bright elephants. So simple, and yet it just reaches out and grabs you. 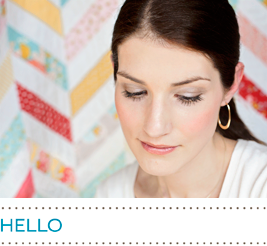 I absolutely love ALL of your choices on this quilt. It's completely perfect and if it were my quilt I'd never leave it, either. The pink elephants are squeal worthy!! !